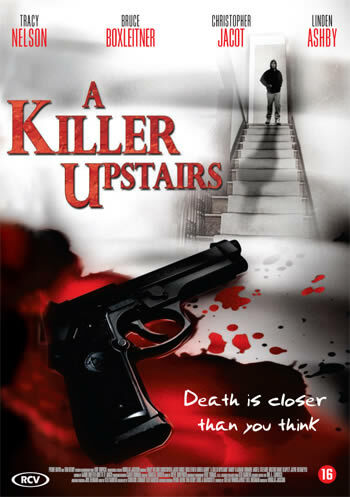 "Death is closer than you think..."
A Killer Upstairs is a decent TV movie. When Vivian Jamison (Heitmeyer) is murdered, all fingers point to her lover Michael Nowlin (Jacot), His mom Sandra (Nelson) is trying to prove her son is innocent, but the police won't listen. Is the killer still out there? At first the movie is riddled with bad acting (Flatman lives up to his name) but eventually the movie picks up speed and it gets better. It does have some good twists and turns. Bruce Boxleitner, Tracy Nelson, and Linden Ashby put in good performances. Overall, it's worth seeing if you are looking for a satisfactory mystery.